The path to fairer land governance in Europe reached a milestone this week, as the European Parliament approved an own initiative report that recognizes the urgent problems of land concentration, and access to land in the EU and demands for adequate responses. The report “State of play of farmland concentration in the EU: how to facilitate the access to land for farmers?” was adopted yesterday at the European Parliament. The report, voted in plenary on Thursday 27, could potentially serve as a starting point to develop regulation at the European level to prevent land grabbing by large (often non farming) companies, land concentration and to facilitate access to land for small scale farmers and new entrants to farming. The members of the Hands on The Land coalition welcome the adoption of the report as a step forward for Europe’s land policy. – The setup of a land observatory to monitor land transactions. 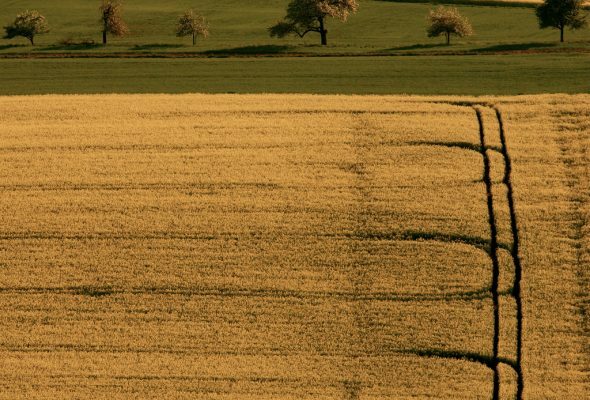 A central European observatory would serve to gather essential data and information on the level of farmland concentration. The main tasks of the observatory would involve: recording land prices and market behavior; observing the loss of farmland following changes in land use, trends in soil fertility and land erosion. – The acknowledgement that the Common Agricultural Policy (CAP) and other European policy areas instigate land concentration in Europe. To respond to this a high level task force is demanded to examine the impact of EU policies on land concentration. – The recognition of land grabbing as an recurring phenomenon within the EU. “Although large farms only represent 3 percent of the total number of farms, they control 52 percent of all farmed land. This is not acceptable. The EP is now recognizing that it is time to redirect European and national land policies in order to prevent land speculation and to support peasant farming. This will result in more employment in the countryside and a fairer use of our European agricultural lands to provide nutritious and healthy food available for all, also for those who are most affected by the protracted economic crisis,” says Antonio Onorati, member of the Coordinating Committee of ECVC. Despite being the main agents of food production in the EU, peasants, small and medium scale farmers are increasingly being pushed away from their land due to land grabs and the intensification of land concentration across Europe. The absence of clear regulation to prevent land speculation at the EU level has only aggravated the problem. The own initiative report voted on yesterday is the fruit of the strong and large alliance of European social movements and grassroots collectives, in collaboration with some Members of the European Parliament and civil society organisations. The report is both an achievement and a starting point for civil society to push the Commission to propose legislative changes for fairer land governance and move towards European common guidelines on the responsible governance of farmland. Read the study on land grabbing for the European Parliament.